Looking for MACRO Mondrian 3.0 – Please go here. Hot on the heels of the release of Mondrian Dashboards Version 3.0 (which you can read about here), we’re releasing similar dashboards for Global Industry (specifically, Global Industry Scenarios). 74 high quality charts in seven dashboards of key industry economic forecast indicators. 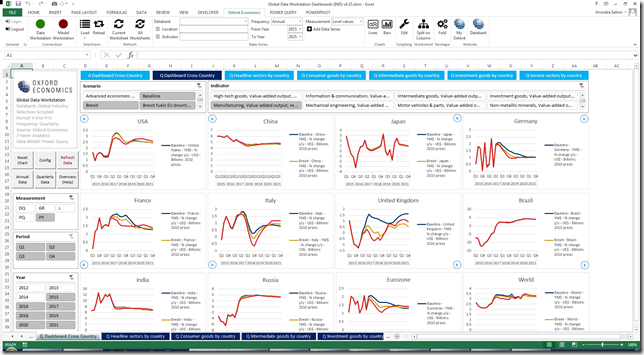 Cross country dashboards for both annual and quarterly data series. By country dashboards covering all locations and 40 indicators in all measurements. Industry forecast data from Global Data Workstation– Global Industry (Scenarios) Databank. 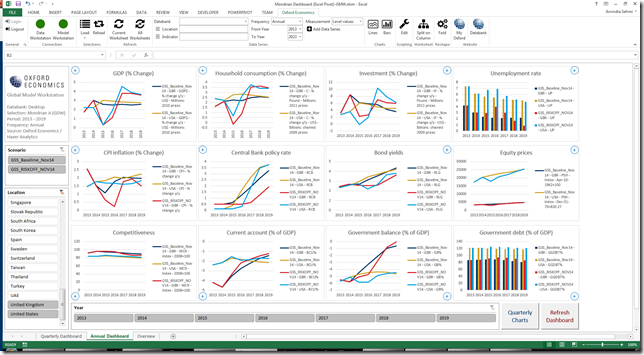 On-demand refresh of data using built-in automation of Excel Data Workstation commands. You can download the Excel workbooks and get going immediately. 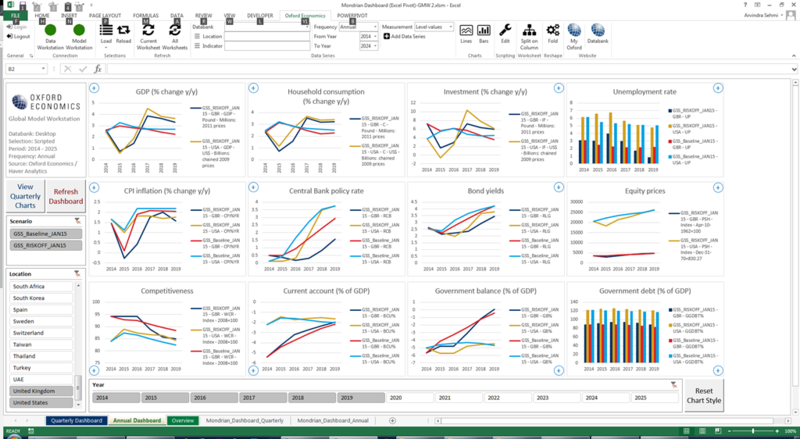 Of course, you need the latest version of our Excel add-in but the dashboards themselves run out-of-the box! The figure below shows the quarterly cross country dashboard across major economies (and world), over all quarters, from 2015 – 2021, comparing baseline vs. two brexit scenarios, for % y/y manufacturing value-added real output in US$. Since Oxford Economics publishes new industry scenarios once per quarter, the underlying mnemonic key prefixes will also change to match each new scenario. This Config worksheet enables you to detect those new key prefixes and adjust the data refresh accordingly. 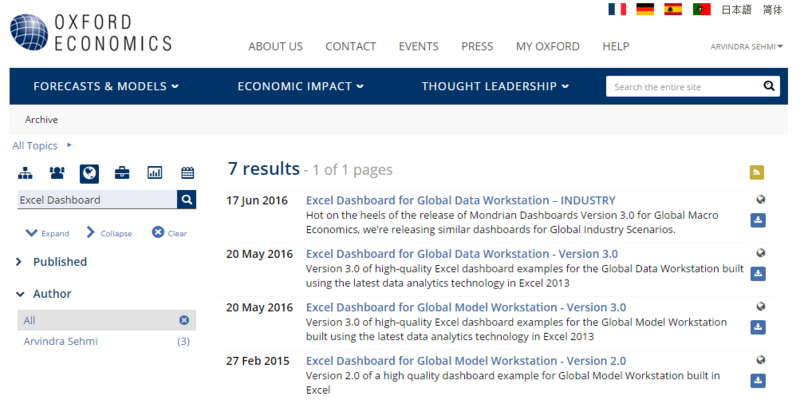 Industry Mondrian Excel dashboards are packaged as ZIP files and are available for download in the Oxford Economics website archive. Choose the correct dashboard to download. We do not have dashboards for Industry Model users at this time. 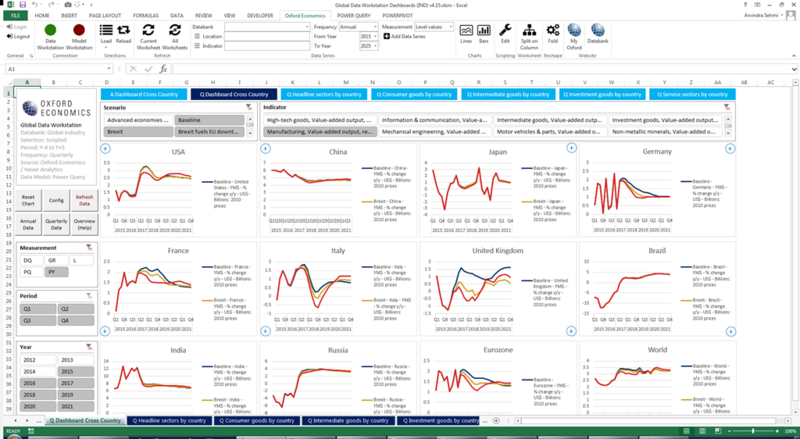 LOOKING FOR GLOBAL MACRO Dashboards? – PLEASE GO HERE. 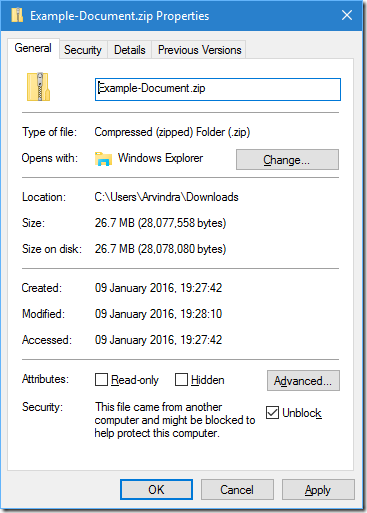 Download the zipped Excel File ‘Mondrian Global Data Workstation Dashboards (INDUSTRY) v4.15-20160617.zip’, unblock it as described above, and then extract ‘Global Data Workstation Dashboards (IND) v4.15.xlsm’. Note, the script uses db. [Global Industry] to connect to the Global Data Workstation – Industry databank.